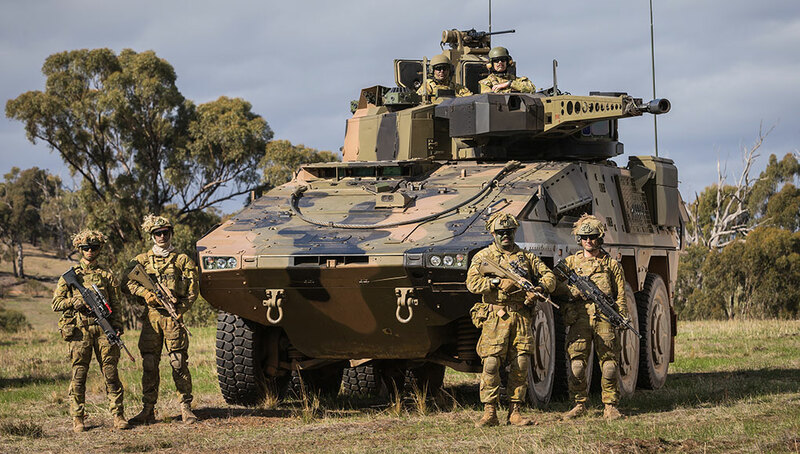 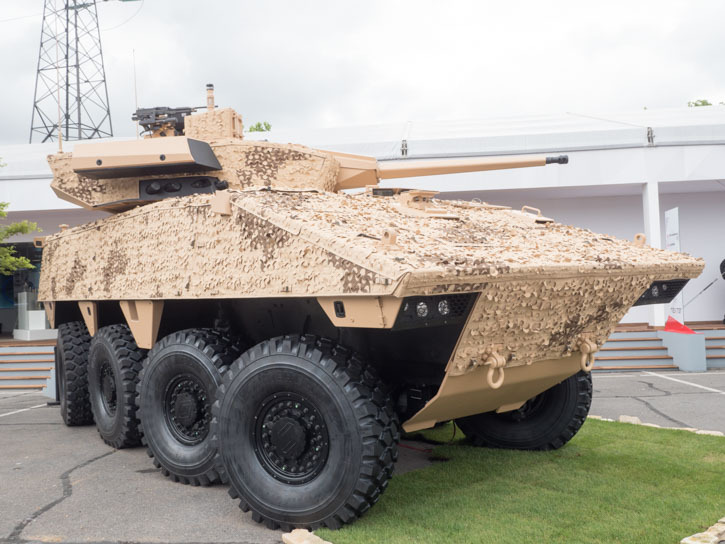 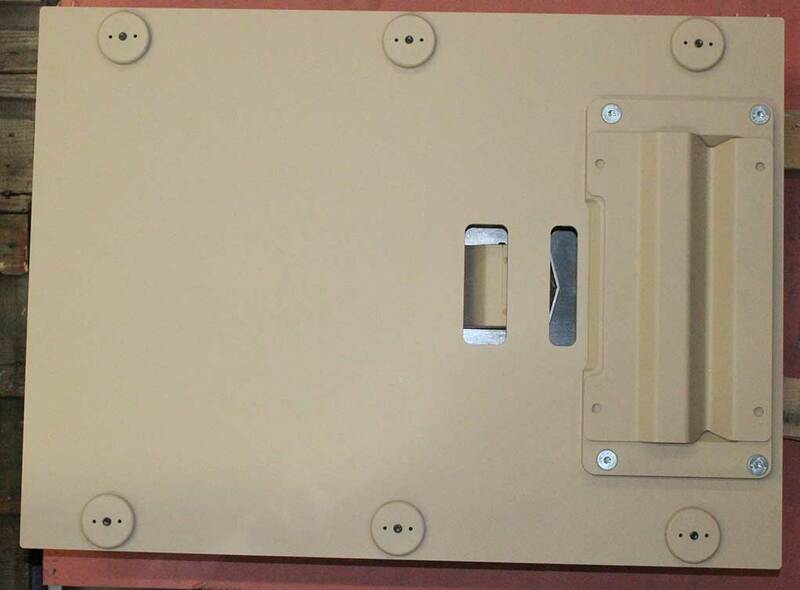 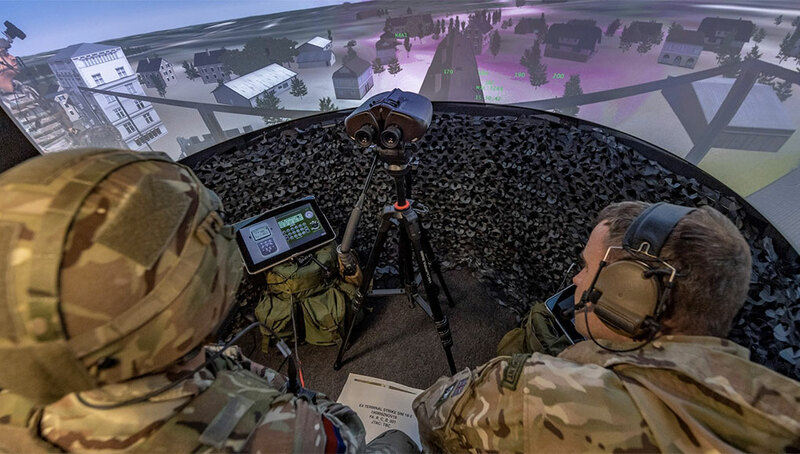 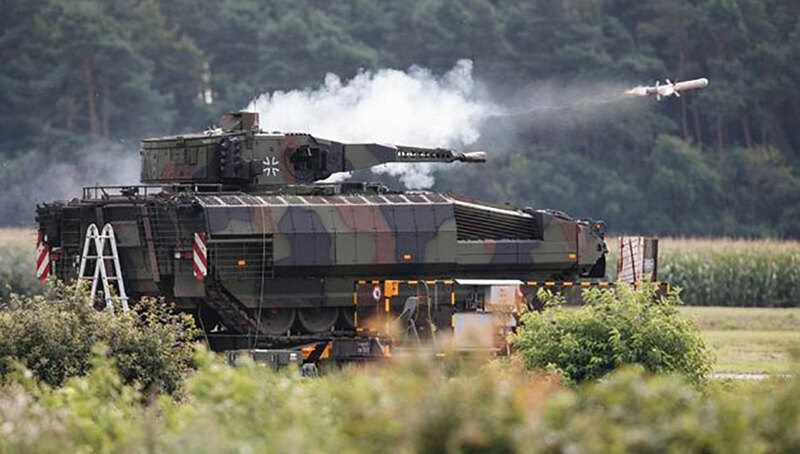 VBCI is also available with a new turret mounting two new MMP missiles and the powerful 40mm cannon firing the case telescpic ammunition system from CTA. 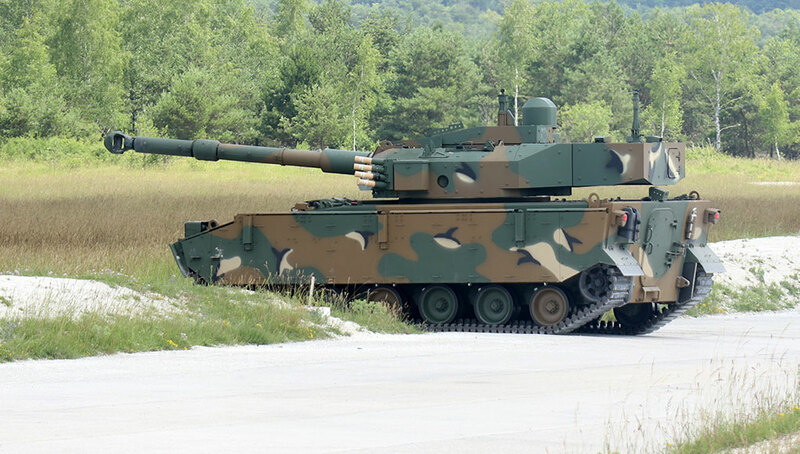 The gun is already used on the British Ajax and is selected for the French Jaguar wheeled armed scout. 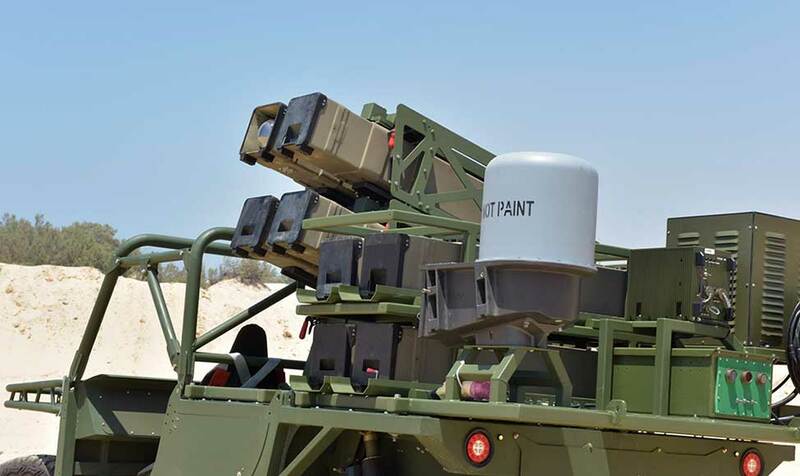 Photo: Noam Eshel, Defense-Update. 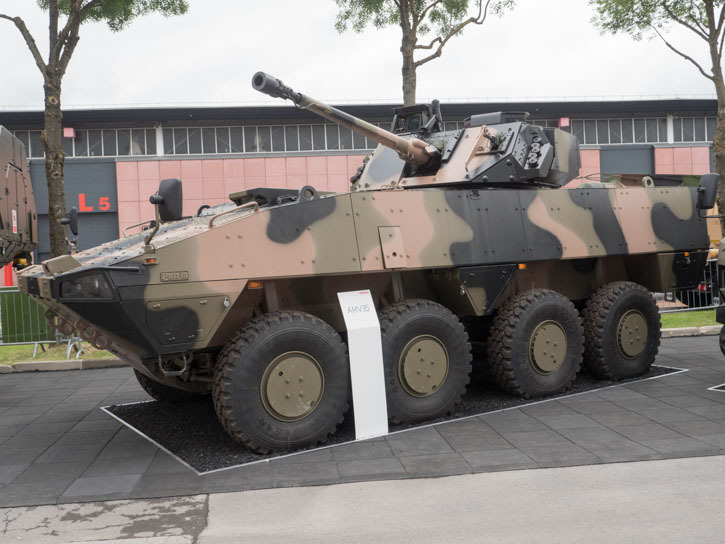 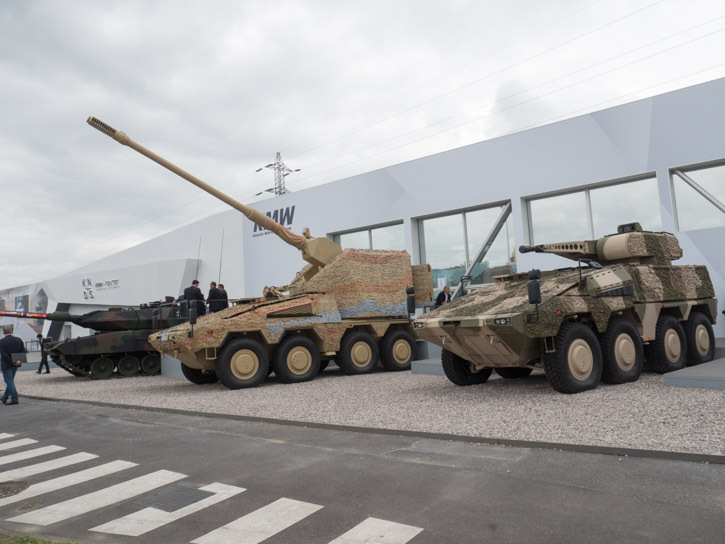 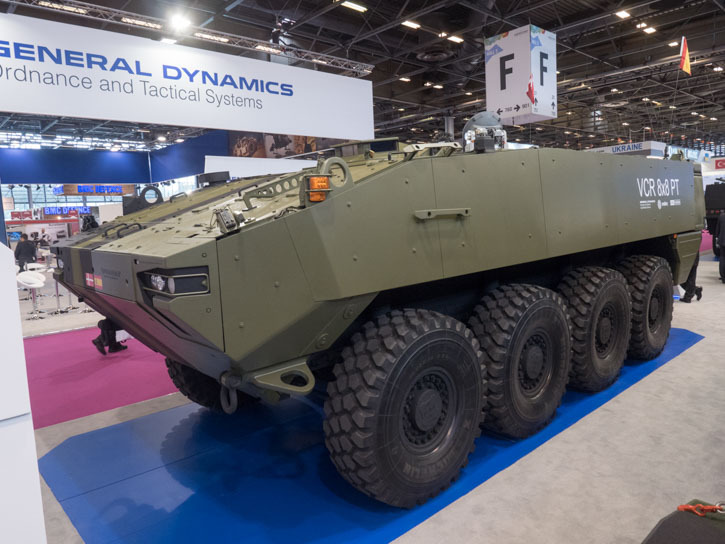 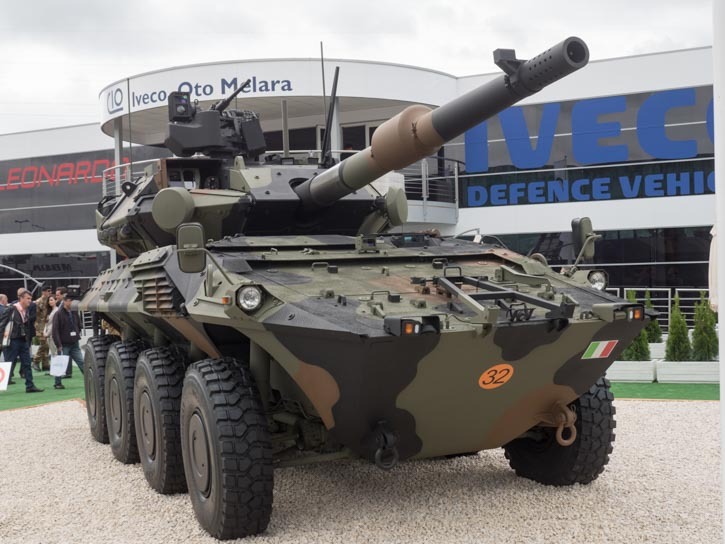 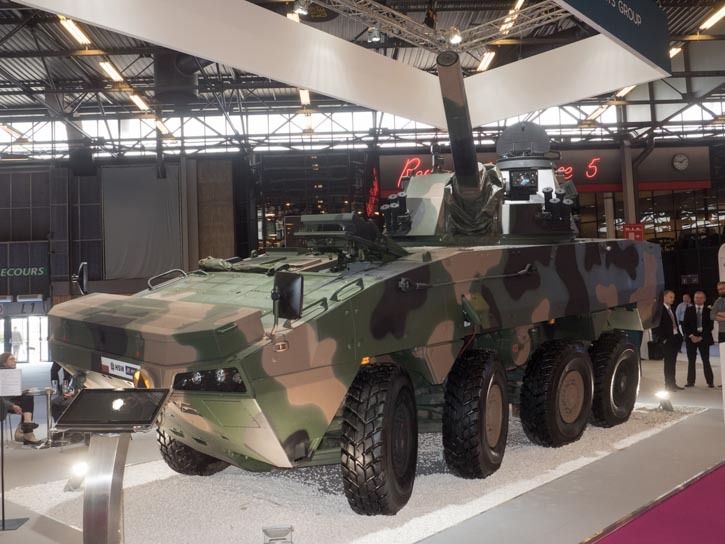 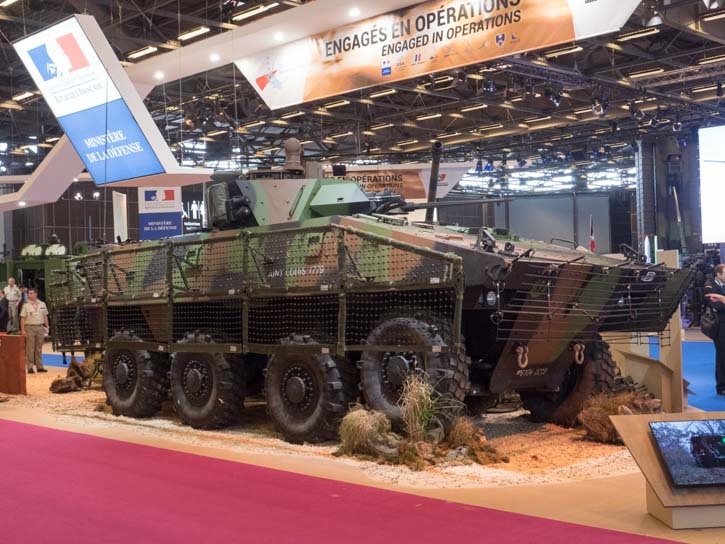 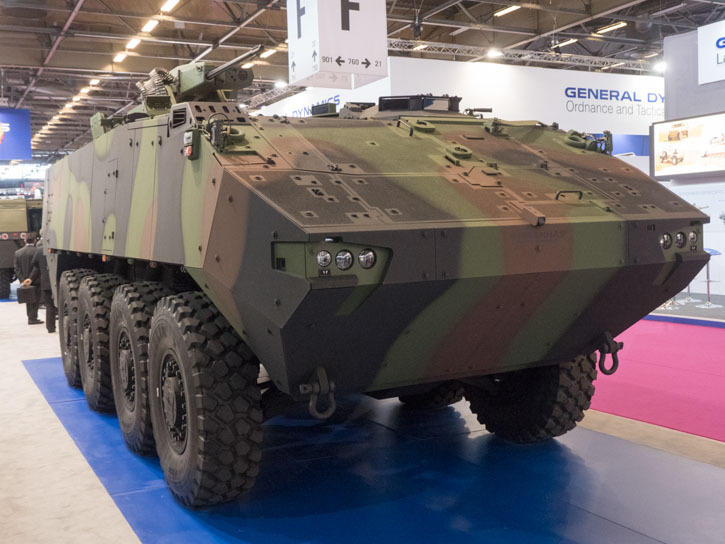 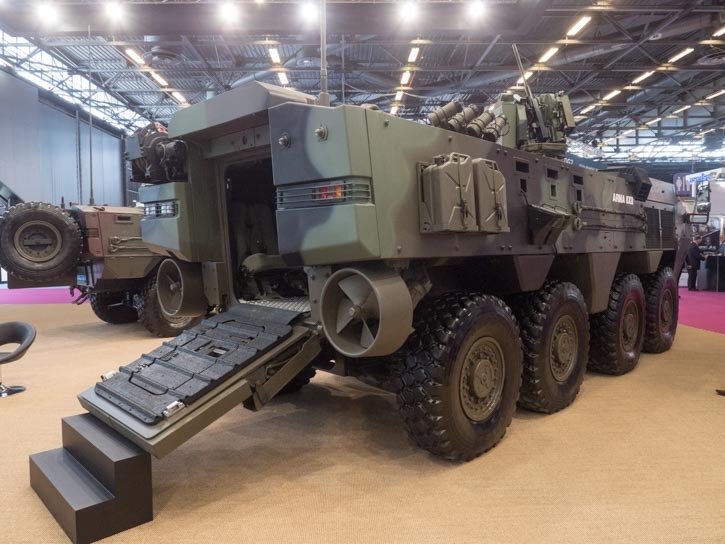 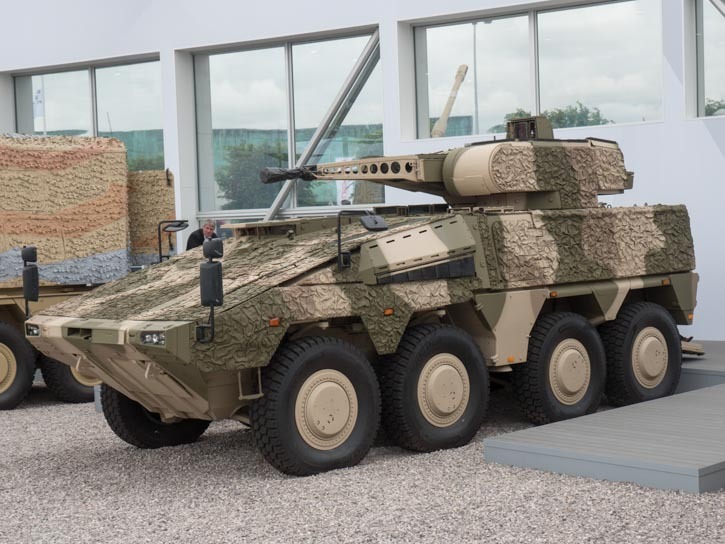 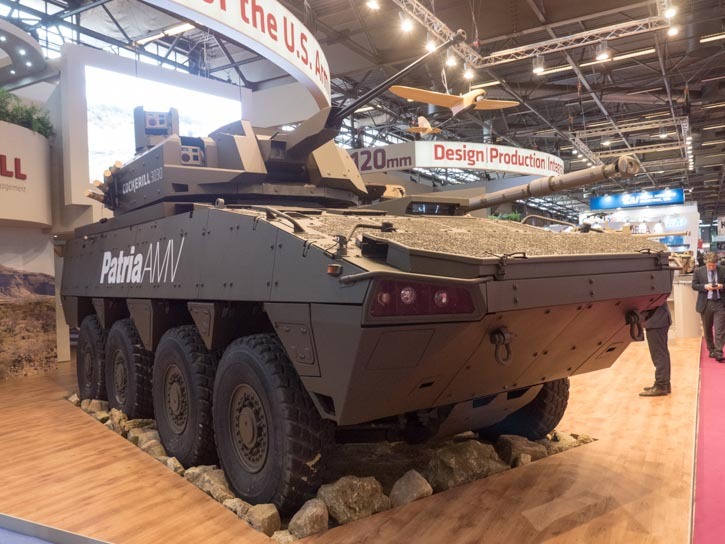 Centauro II from the Iveco Oto Melara Consortium (CIO) was unveiled today at Eurosatory, as the first variant of the improved, more powerful and family of 8×8 wheeled vehicles developed for the Italian Army. 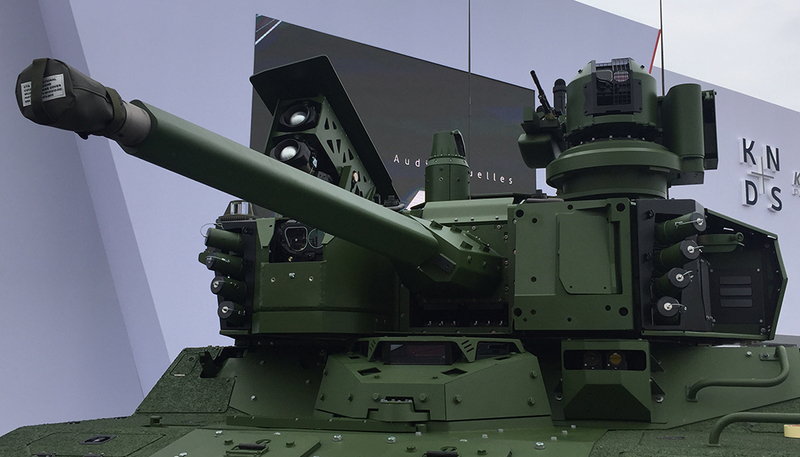 Centauro II is armed with a new turret mounting a 120/45 mm gun, with integrated muzzle break and semi-automatic loaing system. 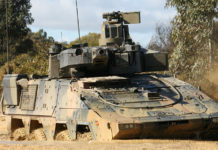 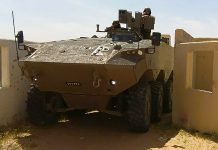 The chasis has improved protection against mines and IEDs. 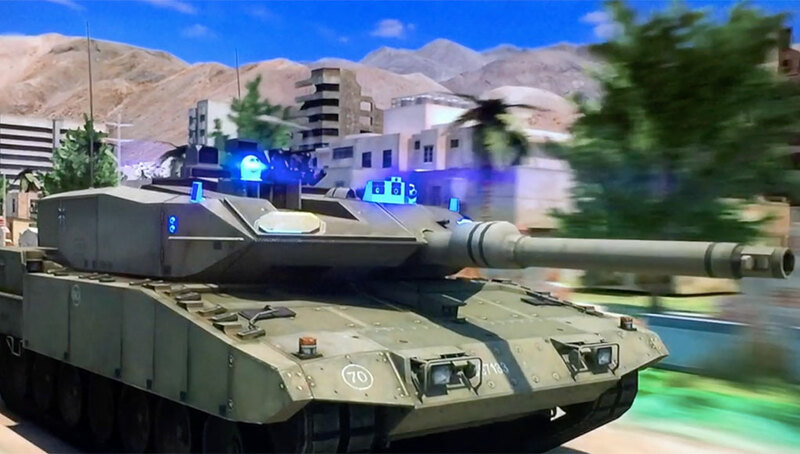 Photo: Noam Eshel, Defense-Update.